Welcome to the St. Mary High School "Class Notes" Alumnae page. Take a moment to join our online community and get ready to get connected! If you’d like your news to appear in the upcoming “Class Notes” section, please contact Rebecca Twitchell at (978) 689-8222 EXT 18. 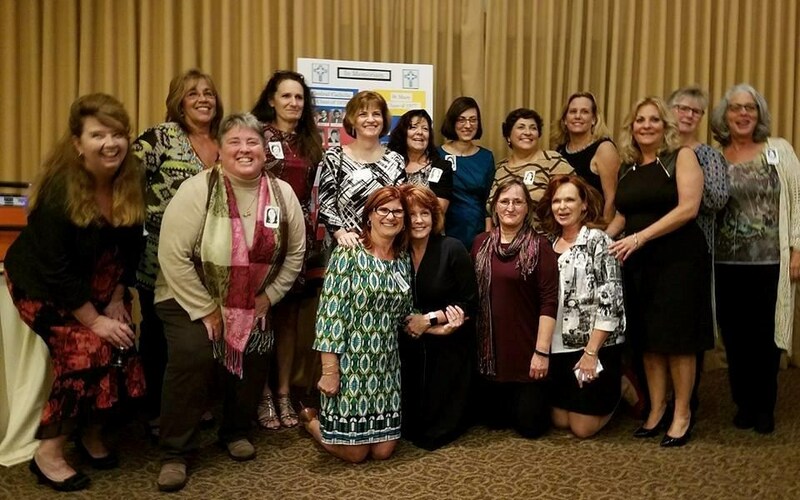 Since SMHS alumnae walked the NDCR halls and were educated by the Sisters of Notre Dame de Namur, our SMHS Alumnae Page was developed to connect alumnae with each other and update them about special alumni events and other events at Notre Dame Cristo Rey High School. 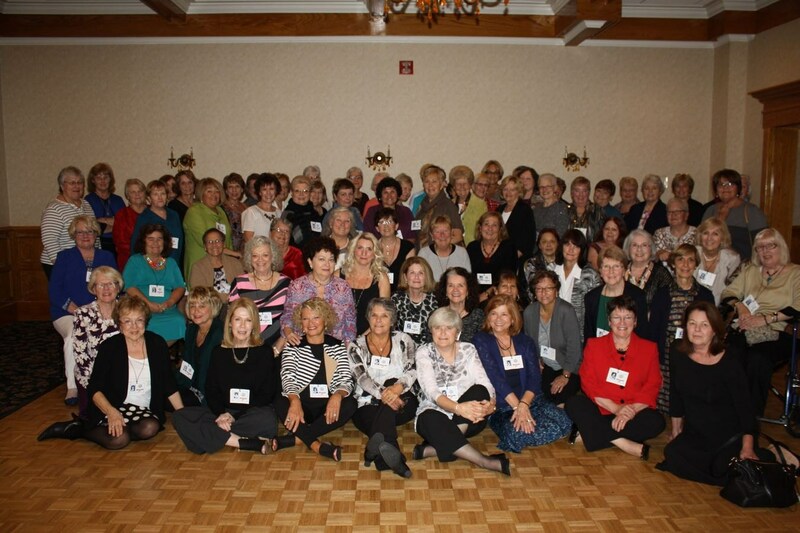 In November, 2015, the SMHS Class of 1965 joined each other for a weekend full of 50th Reunion activities. The weekend was jam packed with spectacular events such as a full reunion at The Andover Country Club, a gathering at the Wyndham Hotel, a visit to NDCR hosted by students and faculty, and a tour of the Lawrence canal/mill area at the Heritage Park. 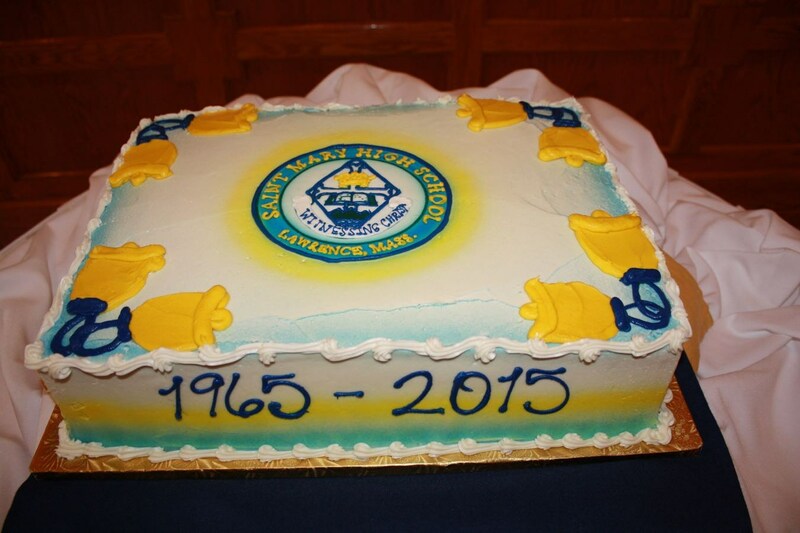 Congratulations to the Class of 1965! For photos of the event, please click here! Alumnae of St. Mary’s High School, Class of 1954 visited NDCR to meet with our Founder and President Emeritus, Sr. Mary Murphy, SNDdeN, tour the facility and meet our students. They were thrilled with what they learned because they hadn't seen their renovated SMHS building or had a chance to meet our students. They enjoyed taking the photo in front of the stained glass window which depicts the shield of the Sisters of Notre Dame de Namur. Alumnae of Saint Mary High School, Lawrence, participated in a “Champagne and Chocolate Reception” which was held in the library of their newly renovated building. Attendees toured the facility, now known as Notre Dame Cristo Rey High School, and listened attentively to the student speakers, the President, Sr. Mary Murphy, SNDdeN, and Board member Carolyn McInnis DiGiammo. Saint Mary High School Alumnae have been strong partners with the Sisters of Notre Dame de Namur, the sponsors of this new and growing educational venture in Lawrence. What a glorious 50th Reunion the Class of '62 had in 2012 - 50 years to the day. We began our gathering with a Mass of Celebration at St. Mary's Church, followed by a tour of Notre Dame High School that was given by Sisters Mary Lou and Maryalyce, who joined us at the Atkinson County Club for a luncheon-buffet. The room was filled with much jubilation along with numerous mementos of our days at St. Mary's. 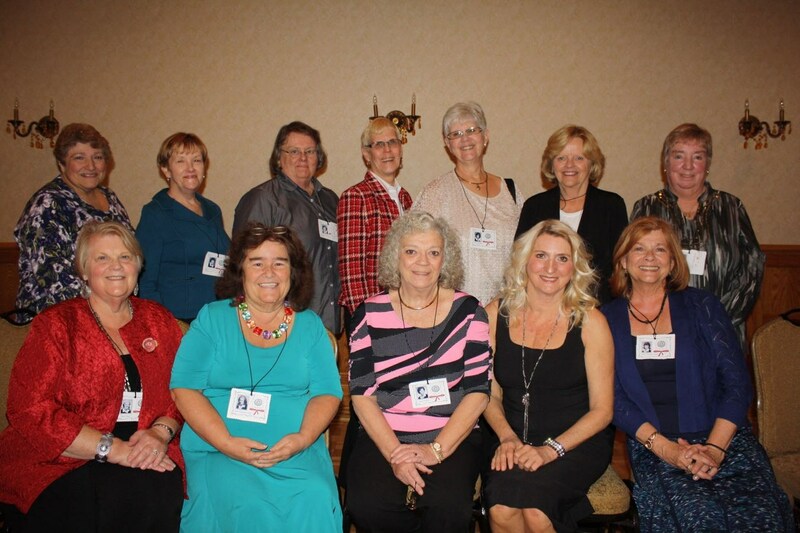 Over the past year our committee worked quite diligently gathering these materials, so thank you, Admarose Shaheen Bennett, Lucy Glotch Nickerson, Mary Ellen McCarthy Morris, Janice Paolino Pacht-Krause, Patricia Riley and Jackie Greska Cassidy for making this 50th Reunion so special. A grand time was had by all! 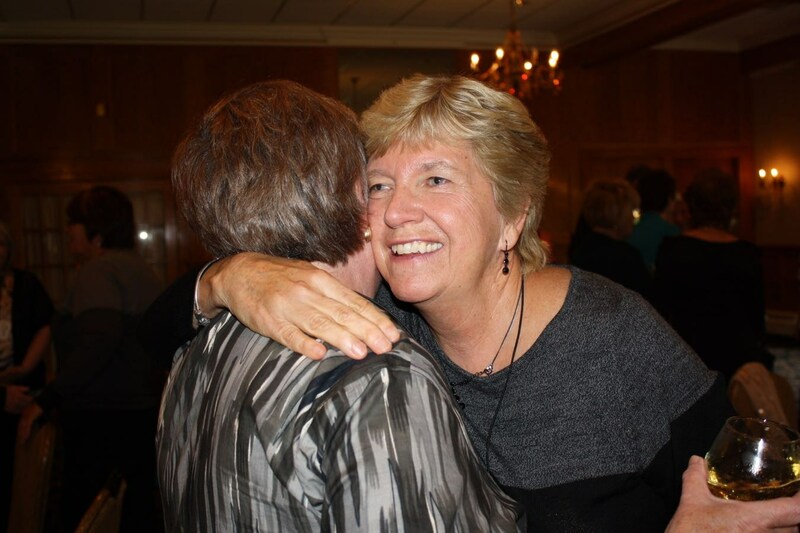 The 50th reunion for the St. Mary's High School Class of 1961 was held on October 8, 2011 at the Merrimack Valley Golf Club in Methuen. It was a beautiful day and 41 classmates attended the reunion. 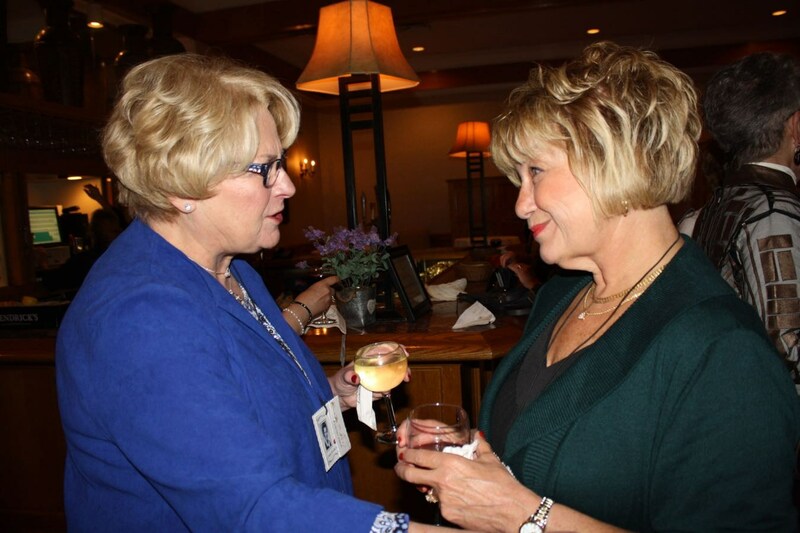 Alumnae had a wonderful time reminiscing about their four years at St. Mary's. Truly, the friends you make in high school are your friends for life. 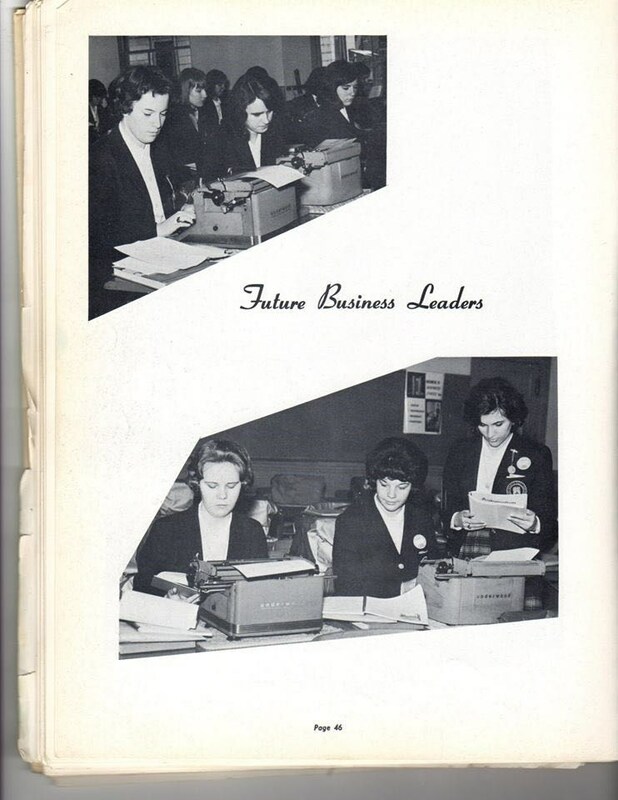 The committee members were: Rosemarie Traficante Roche, Mary Ann Coco Morin, Rosalind Bastek Clark, Dorothea Calabrese Crisa and Ann Pappalardo Messina. Be sure to contact us at Notre Dame Cristo Rey High School for a tour of your renewed Alumnae building. The spirit of SMHS continues to flow through the halls of NDCR as we proudly walk in the shadow of your footsteps. The Sisters of Notre Dame de Namur, students, faculty and staff always welcome your presence.